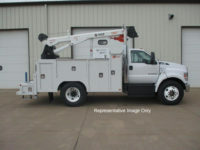 Service Trucks International (STI), a wholly owned division of Sioux Automation Center, has been crafting high quality service bodies since 1985. Specializing in mobile service products, STI strives to meet the needs of operators and retailers of heavy equipment used in mining, road construction, site prep and land clearing, agricultural equipment, the oil and gas industry and local, state and federal government. Tiger Cranes, a wholly owned division of Sioux Automation Center, has been building high performance telescoping service cranes since 1990. Focused on providing cranes that offer cutting edge features and reliability, Tiger Cranes come as standard equipment on Eagle Pro truck bodies manufactured by STI and can also be purchased individually for stand-alone applications. 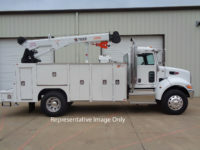 Based in Sioux Center, Iowa, Services Trucks International and Tiger Cranes market equipment through direct, distributor and OEM channels in the United States, Canada, and Mexico, as well as in international markets. Service Trucks International and Tiger Cranes are hiring! Learn more about our company and current openings today! Read about the latest happenings at Service Trucks International and Tiger Cranes.